This one day workshop is tailored for interior designers to prepare and/or shoot design projects for submission to shelter magazines. Join Editorial and Interiors photographer David Duncan Livingston as he shows the tricks of the trade to make a project photo ready. A one day workshop for design principals and marketing directors to learn the current trends in design magazines, how to style photo shoots in fresh and relevant ways. Learn how to develop and direct a photo shoot to get the most useful photography to publish and promote in traditional and new media. 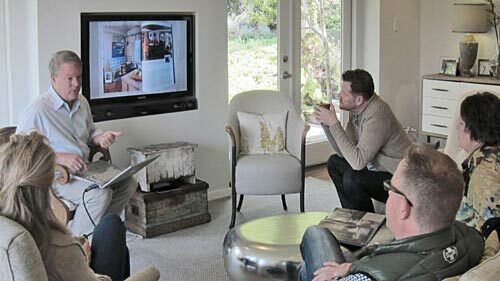 David Duncan Livingston has been the photographer for eight coffee table books on home design. David is called upon by magazines to bring back the story of a project and use his skills as photographer, art director and stylist. David shares his experience to make a project photo ready. Participants will share their own snapshots of projects, that will be used as case studies for the workshop. You will take away how to style and compose your project in the look of a shelter magazine spread. Participants will see during live camera/computer demos how the right placement of objects and furnishings along with the right choice of camera angle can make a room more appealing. 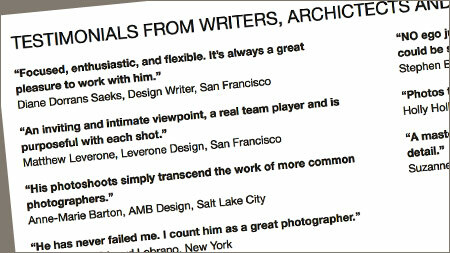 David has been the photographer of leading design books like California Country Style and San Francisco Style by Chronicle Books. David was awarded the photographer of the year for his work in Hawaii a Sense of Place which is in its fourth printing. Regularly David’s interior photography can be seen in regional and national shelter magazines. David has also worked with top showrooms, manufactures and retailers to define their style in ad and web campaigns. Firms like Restoration Hardware, Ironies and Kneedler-Fauchere are drawn to David’s ability to function as creative director and photographer.